“My weight in spring 2016 was about 140 kg! If you ask why I decided to change my life – it was all about my health condition. When you find yourself at emergency medicine room with message from doctor: ‘your blood sugar level is at 16.8 (max should be after the meal 5.8), you have diabetes’… then I had a ‘click’ in my head. I started to follow nutrition advises I got from Dr. Haritonova… what to eat, how much to eat… I cancelled following ‘bad habits’ from my diet: sweetened soft drinks, packed juices, sweets, wheat products, potato; started to eat regularly, focused more to fresh, green and eggs in different ways. By changing eating habits I started to lose weight. I was not very sporty person; it was big challenge for me to go to gym, especially because of big crowds! 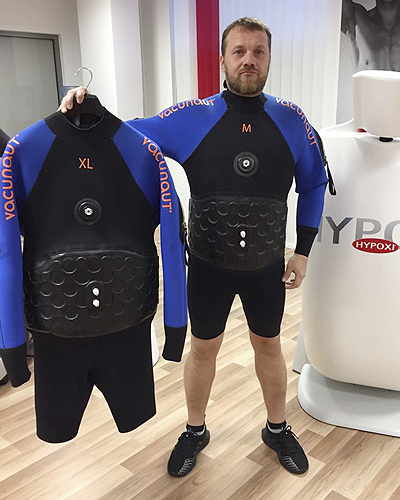 One day I saw TV Show where HYPOXI was presented, so I decided to apply for test training… surprisingly, after 30 minutes training, I felt great, it was light feeling. 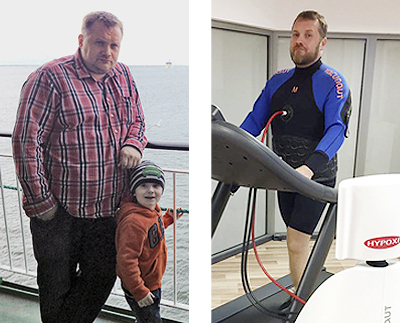 Personal approach by professional coach and ‘private’ studio made my decision easy, so in August 2016 I started my sporty lifestyle with HYPOXI at the HYPOXI-Studio Scala City in Tallinn. Since then I have done HYPOXI-Trainings 3 times a week, with some deviations due to work and some influenza issues… today scale shows a bit less than 100 kg! Sometimes people have asked is it worth of investment – definitely! Investment to your health and wellbeing is the best we can do for ourselves and for our loved ones. After HYPOXI-Training I feel energised, not as before I was always sleepy. HYPOXI gave me confidence and power to be even more active, so I go in addition 2-4 times a week for run. Based on my experience I advise HYPOXI to everyone who values health and own body welfare – here you will be under professional supervision in clean, comfortable and almost family studio environment.